Guest Presenters - Biz GirlsLearn. Create. Lead. Keynote Presentation: In Kindergarten, when the class was asked what they wanted to be when they grew up, five-year-old Kristen Stiles confidently said, "The boss." Now, as CEO of Sitter, she can honestly say she's living her childhood dream of running a business and helping thousands of young women and men nationwide run their babysitting businesses, too. Kristen will share her story and some of the hard lessons she learned in self-reliance, confidence, and leadership on her bumpy journey from The Chicken Cafe to Sitter. About Kristen Stiles: Kristen Stiles is CEO and Co-Founder of Sitter. Prior to founding Sitter, Kristen developed extensive experience in both IT and business strategy. She started as a developer for Hewlett-Packard and transitioned that technical and analytical knowledge into IT project management, marketing project management, and then into business strategy consulting. She’s worked or consulted for companies of all sizes and industries – from mom-and-pops to Fortune 100. Her biggest accomplishment? She founded a very successful Halloween candy exchange when she was eight in which she turned an insane profit. Demo Day is Free and Open to the public. Register now to hear from Kristen and hear business pitches from our latest group of high school CEOs. Meet a few of our other 2017 guest speakers! Guest speakers come to share their experience and mentor our Biz Girls on Leadership, Self-Reliance, and Confidence. Visit our volunteer form if you're interested in speaking at a future program. Kristin Miller founded InMotion Albums, and comes with a unique and motivational style. Kristin is kicking off our week with a presentation on Passion In Business! Debra Jason of The Write Direction will speak on Relationship Marketing during our SEO and social media segment. Presenting on Branding and Personal Brand. 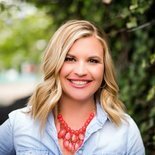 Amanda is Founder and Partner at Catalyst Marketing Agency, LLC, and is a Biz Girls Bronze Sponsor! Charles Ciaccio is a mentor with the Rockies Venture Club HyperAccelerator and an attorney with KO Law firm. We can't wait to welcome Charles' perspective during our Leadership Series: Inspire a Shared Vision. Justine Barone is founder of Gearoe and her own digital marketing agency, Drogo Creative. Justine will present in our Leadership Series: Challenge the Process. Sylvia runs Girls CEO Connection and has coached many high school girls over her vast career. Sylvia joins us for our Leadership Series: Enable Others to Act. Biz Girls guest speakers share their passion and experience in Leadership, Self-Reliance, and Confidence. Become a speaker or mentor for our next program!